I read the headline in Dreamwatch one more time to see if it would sink in any more. Only a year previous Deep Space Nine, the unloved child of the Star Trek universe, had been provided a lifeline and a revamp with the arrival of the USS Defiant and the introduction of the domineering Dominion. It hadn't quite worked. They were 99.9% there and this was the solution to get the elusive 0.01%. Problem was that I'd really enjoyed season three and everything that the new improved series had introduced. In all fairness I was both excited and disappointed to read that Worf would be taking up a position on the station from the beginning of the fourth season. Did Deep Space Nine really need him? Was he going to fit in seeing as he'd been on The Next Generation for all seven seasons plus the recent Star Trek: Generations feature? Surely this was too small for Michael Dorn? I had no say in the matter and so would be have to wait until February of the following year (1996) to see The Way of the Warrior. However I couldn't wait that long and my gran bought me the novelisation of the season four premiere for Christmas. At this time I was revising for my GCSE mock exams over the Christmas holidays (I was that dedicated) but Christmas Day was certainly not going to be the time to have my head in the books. That was until I got ill and stayed clear of everyone else for the day - the perfect chance to read The Way of the Warrior. It changed my thoughts on the coming series completely and I couldn't wait. At this time it was always Deep Space Nine over Voyager which was entering its second season at the same time and the fourth year of the space station drama blew everything else out of the water. Worf was a great addition and it felt like the show had taken yet another massive leap forward and a considerable risk at the same time. 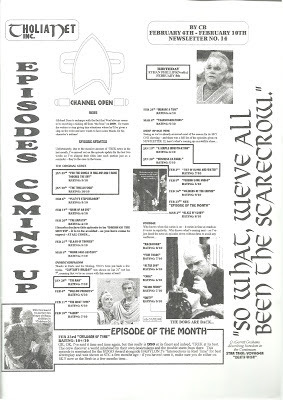 It was one great episode after another but 1996 was also a great year for another reason. The Star Trek Experience made it to the UK and I got the chance to see it in Birmingham. I've still not managed to get to a convention to this day so this was quite a big thing. Walking in you were presented with a replica of the TV series Enterprise bridge and of course its one of those things you have to have a photo of whether original or not. Before I could get into an adequate pose the guide who was overseeing the set asked a fateful question; "Do you want to sit on the set?" Now that was a silly question as the answer was undoubtedly, "Yes." 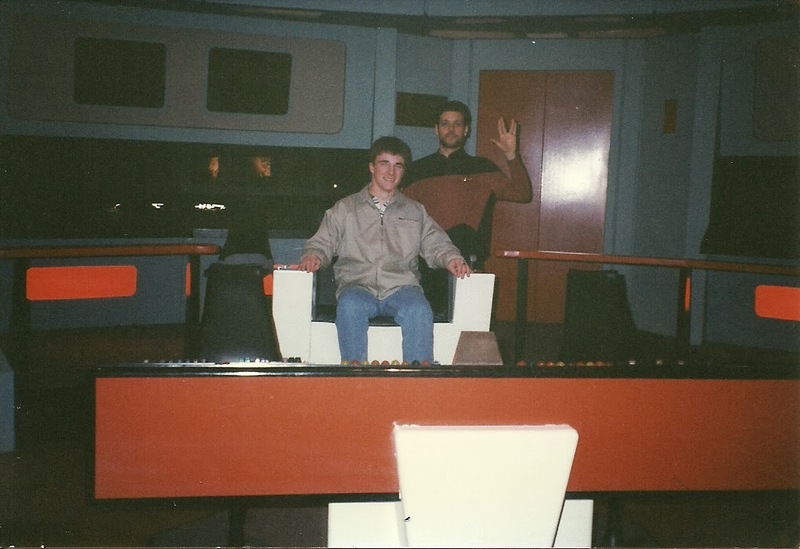 So now the only picture which still exists in my possession from that day is of me on the mock up of the original USS Enterprise bridge apparently under guard by a Vulcan-salute waving The Next Generation uniform wearing exhibition guide. That five minutes is actually something of a blur as I hadn't expected it to happen and it did so at a fair speed - in, photo, off and done. I wish now I'd taken more of a chance to look around the replica and get a few more pics. Oh well, the wonders of hindsight. The exhibition featured a lot of costumes and sets, particularly from Generations. There was the original Enterprise-D transporter room, Picard's desk and chair from his Ready Room and his command chair from the bridge set. Alongside them were Soran's missile and his handgun as well as a few uniforms including Kirk's The Motion Picture admiral's uniform, and Troi's blue dress. At the time Deep Space Nine and Voyager were in their early years so there were only a few bits of makeup as well as the monolith from The Alternate and the holo-generator from Shadowplay. I just wish I could find the photos as I had quite a number! These were the first real Star Trek items I ever came into contact with and I made sure that I went over the exhibition a few times before we went into the gift shop. One thing I do still have is the half-size combadge I bought from the shop and the set of Star Trek First Contact collectors cards (four pictured left). Even back then I thought they were expensive for the mid-1990's! which is why I didn't buy a lot - most of it had probably been ploughed into the VHS collection. The memory of that day has stayed with me very strongly and is one of the few moments where I have managed to come face to face with the objects directly linked to my favourite show. In fact it would only be in 2010 when I would finally meet someone who appeared in Star Trek. First Contact was my film of the year and tragically the high point of The Next Generation's movie career by some distance. As an experience it was far more satisfying than Generations and one of the best movies of the whole series. When it came out on video it was an essential purchase and came with a holographic card which switched between Picard, Data and the Borg Queen to Locutus, the damaged Data and the Borg Queen in a slightly different pose. Admittedly Generations on VHS was a better and more expensive package as I spent a bit more and bought the limited edition numbered widescreen version complete with booklet and postcards. It was a lovely set however the DVD version obliterates it for quality with ease. Now 1996 would be a year more focused on exams than it would be on the world of Deep Space Nine or Voyager which in turn reminds me that Star Trek was a part of my English GCSE. We had to do a presentation on something we were interested in, or at least some part of topic we had an interest in. While Star Trek itself would have been too easy and obvious I went for a little more of a curve ball and produced a five minute, prompt-card remembered talk on the career of William Shatner. It might have been due to my having recently read one of the two Memories books he wrote around that time! While it was an education-heavy twelve months I would still buy some of the videos including The Visitor/Hippocratic Oath and Body Parts/Broken Link but there are two volumes which stick in my mind for other reasons apart from their episodic content. 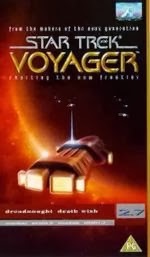 One was the Voyager Volume 2.7 which contained Dreadnought and Death Wish. Two great episodes but the reason I remember them so well is because this is the video my parents bought me when I got my GCSE results in August of that year. When asked what I wanted as a "well done" for my work it was only ever going to be Star Trek related and this Q appearance was top of my "Must See" list that year. It didn't disappoint and whether or not I view it through rose-tinted spectacles it's in my top five Voyager episodes and one of the best Q episodes ever made. The other volume was 4.12 from Deep Space Nine. Again, it's not the episodes that are on the cassette that make it significant in my life story but rather the sequence it kicked off over the next few years. We'll roll back a little bit actually here because there's more to it than a single volume. I might have said that 1996 was significant because of GCSE exams but it was also the year I would get my first girlfriend. Kate was from the high school and we met while I was on a family holiday to Paris which was intended to help me with my French linguistic abilities in preparation for the upcoming exams (as you'll see I had quite an "educational" direction forced on me). Kate also liked Star Trek which certainly helped and I introduced her to Deep Space Nine. I was even nice enough to lend her my TV recording of Emissary. A week later however Kate returned the tape however she'd left it in the VHS player and her dad had recorded over it with something totally NOT Star Trek. Possibly One Man and His Dog or World Athletics. I was, as you can understand a tiny bit gutted however what I didn't expect was that my girlfriend would buy a replacement - the collector's edition - and give it to me. OK, that sets the scene and for my birthday in 1996 Kate bought me another video - the aforementioned 4.12 so that I would have seen all the episodes of that year as I had already purchased 4.13. I was very grateful and we watched it together. However about a week later she split up with me. 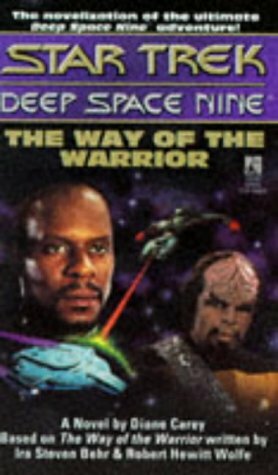 It wasn't the end of the world but I got concerned when I bought Deep Space Nine volume 5.3 the following year and my girlfriend at that time split up with me on the same day. 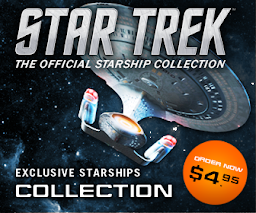 I was starting to see links between purchasing Star Trek and the end of relationships. Not a good sign really as In the Pale Moonlight was the video I purchased shortly before my next relationship also crashed and burned. The other thing I learned was that dating someone with an interest in Star Trek was more of a curse than a blessing. 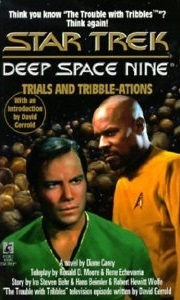 1996 was also the 30th anniversary of the franchise marked out with two special episodes - Deep Space Nine's Trials and Tribble-ations and Voyager's Flashback. The former excellent, the latter not so good. With the video releases being somewhat behind the US, I was still relying on magazines to get my info on upcoming episodes and these two were getting some major column inches. Trials and Tribble-ations was clearly the bigger featuring the space station crew alongside Kirk and co. It was all "Wow". The episode looked amazing and marked the 30th anniversary as more impressive than the 25th. We can only hope that the 50th in just three years time is honoured in style. I even forked out a few quid for the (very) thin novelisation that accompanied the episode. 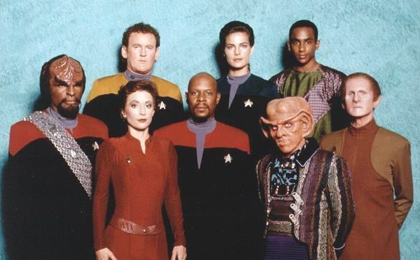 Deep Space Nine by this point had firmly cemented itself as my favourite series with season five. Worf had turned out to be a brilliant addition and the show felt complete. The year also included some of the very best of the show including Children of Time and Call to Arms which concluded the year. As usual I'd already "looked ahead" to find out what would be happening and seeing that Sisko lost the station to the Dominion was groundbreaking. While Voyager saw the namesake ship taken over by the Kazon for a two-parter, Deep Space Nine stayed in enemy hands for six episodes and a never-before-attempted six part story arc. 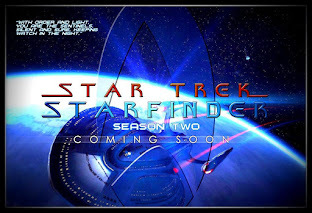 The series was doing Star Trek like never before and yet the following sixth season would push the envelope even more. But what of my collection? What about all the other things that made up my Star Trek world? I had a couple of posters up of The Next Generation crew in my room but I also had a few more models by this time. The USS Enterprise from The Original Series and the movie refit from The Final Frontier were now joined by three more vessels. 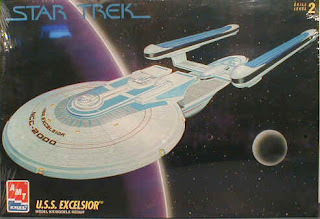 The first addition was the USS Excelsior from Star Trek VI. Smaller than the Enterprise-A it was a great little piece only let down by a cup-like stand that meant it kept slipping every time you walked near the shelf. The second and third were both Klingon ships; a Bird of Prey from Star Trek: Generations and the Vor'Cha cruiser introduced in The Next Generation. For many years these craft adorned the top shelf of my unit in my room but now, due to space restrictions they are currently all in storage in the loft waiting for the day when they can once again get their own place. The two Klingon ships are currently with me while the Excelsior is foam-chip packed at my parents' house. There would be another addition to the collection shortly after however I'll keep you guessing for the moment. At this time modelmaking wasn't my forte and it's only recently that I've tried my hand at the plastic arts, namely the JJ Abrams-verse USS Enterprise which progressed slowly but is now finished and I'm very proud of the result. I'd added some novels to the collection as well as Larry Nemecek's The Next Generation Companion, William Shatner's superb Star Trek Memories and Star Trek Movie Memories. They were read in a flash and added a lot to my knowledge of the series and the films through to Kirk's final appearance in Generations. Sadly other autobiographies from the crew such as Takei, Doohan and even biographies on Roddenberry have never lived up to the quality of these books in my opinion. A shame but Shatner appears to have cornered the market! 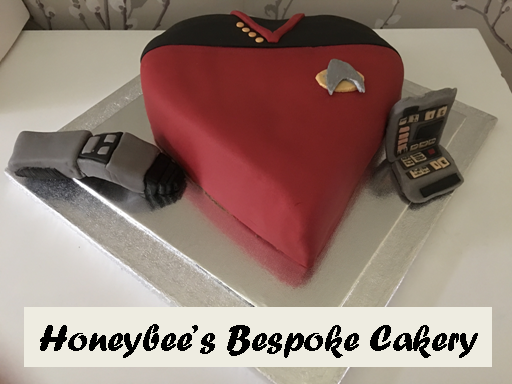 If you remember from previous editions of Trekollections Bondy and I were showing episodes of Star Trek in the library over lunchtimes and the audience had gradually increased towards the end of my GCSE exam year. When we came back to start A-Levels it turned out that there had been such a demand that one of our teachers, Miss Hurton, had started a lunchtime club to watch episodes and talk about the show. Bondy and I were installed to help run it and this would be my first attempt at writing a newsletter using early versions of Word and a rather temperamental printer. 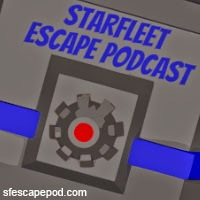 Each week I would produce the newsletter as well as quizzes and there would be showings of new episodes from both Voyager and Deep Space Nine. I've included this edition from early in 1997. 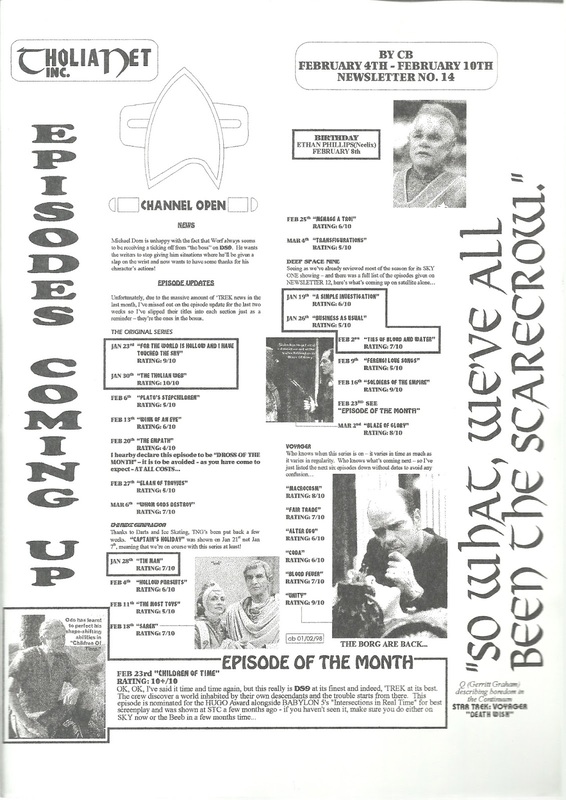 I crammed a lot on from the looks of things including episode airtimes and dates, video reviews, news snippets and an episode of the month which in this case is the already mentioned Children of Time. I also used my 365 day Star Trek quotes calendar for the script down the side. It was great to produce this as my interest in English and journalism had already helped get me a work experience placement over the summer which eventually led to a five year holiday and eventually full time job with a local newspaper. 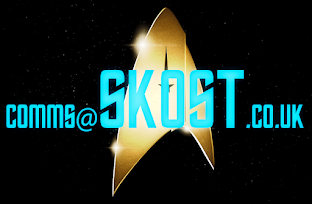 Having a passion for writing had continued to drive me towards the creative aspect however not with Star Trek after I'd attempted and failed to write something distinctively different based in that universe. Apparently when Bondy and I left the club folded the following year as some of the kids attending wanted to expand to other sci-fi material which went against why it was originally set up - I'd have kept them in line of course! So where are we now? About 1998? Was that all just a year's worth of Star Trek and me? Apparently so but what's left for us? 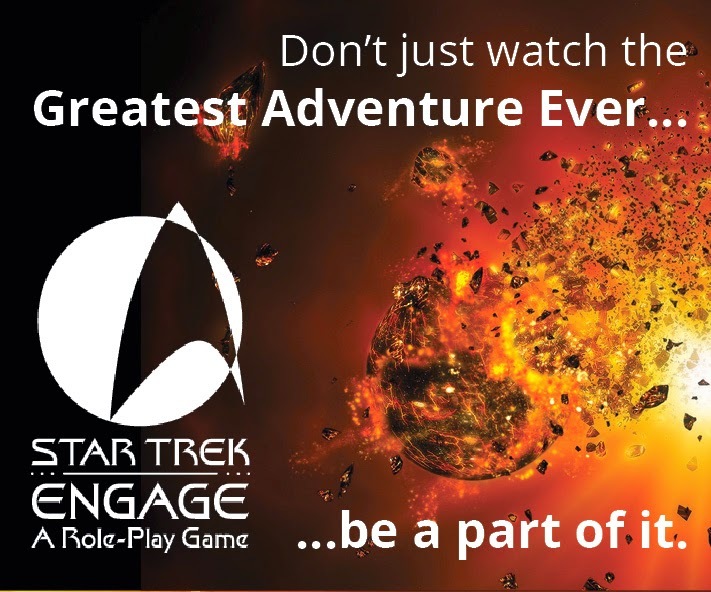 Deep Space Nine's finale; Voyager returns to the Alpha Quadrant and some serious changes take effect on my time with Star Trek. Aside from that, I would be entering the leanest Star Trek period of my life...and it wasn't good.